We love our supercars to death. We obsess over their top speeds and great power. But what is it like to actually use one? Over 500 miles of European motorway, we discover an inconvenient truth. The Apollo Command Module did not have a rear window. What the spacecraft had instead was a spherical heatshield, designed to dissipate as heat the immense energy of the Saturn V rocket upon atmospheric re-entry. Had Neil Armstrong, Michael Collins, and Buzz Aldrin chosen to unclip their harnesses, turn around, and attempt to revel in the three hundred feet of fuel and rocket engines that would launch them on their 500,000-mile voyage, they would have seen nothing. The harness in a piece of German engineering forty years on is much simpler: it’s a three-point seat belt. Even buckled up, it’s a cinch to turn around, and it makes a lot of sense. Behind the cabin of the Audi R8 V10, which is lowered into the very tarmac and sealed with a sliver of a glass window, is an engine of humonguous proportions sitting pretty below a vestibule of carbon fiber, its noise the edgy shriek of a Van de Graaff generator. As if its ten cylinders had their air force-fed to them through a supercharger instead of letting the cylinders take care of their own supplies as they so desire. Correct that: as you desire. A squirt of fuel will send the needle careening from three thousand RPM all the way to eight thousand. Your unwary cry of joy will be swallowed by its monstrous rumble. The R8 V10 hurtles down the passing lane of the Autobahn, similarly to a tall, blond man who died here eighty years ago. The man was tall, he was blond, his features handsome, his wife a test pilot. They lived in a world that deified their kind. Bernd Rosemeyer came to Auto Union’s Grand Prix team from 1920’s motorcycle races, he drove with a lithe touch Ferdinand Porsche’s edgy racers which dallied with an amnesiac future. The cars were mid-engined, unlike anything the world would see for decades, the cars were covered in thin sheets of aluminum, the cars had sixteen exhaust pipes rising from sixteen cylinders. Driving these cars, Rosemeyer conquered all in 1936. A year later, driving a streamlined version of his Auto Union Type C, he became the first man to exceed 250 mph on the public road, covering a measured mile in 14.26 seconds. He would go on to live for another ninety-four days. On a January morning, his Rekordwagen’s successor disintegrated around him. He landed on the perimeter of the Frankfurt-Darmstadt motorway, he landed softly and dead, he landed at a speed of 268 miles per hour. The Type C’s breakup would be followed in short order by the breakup of the Grand Prix team, the Auto Union company, the Third Reich itself. The marque would slowly reemerge in the 1960’s, would grow into a new company as Audi, would excel at innovation—think aerodynamics, think four-wheel drive—and would, after decades of hard work, overtake BMW in many ways. In industrial design, in chasing the essence of being German, in sheer lustworthiness. Acceleration in the R8 V10 does not arrive like a wave. It does not arrive like a whip. Acceleration arrives like the S-IVB third stage of the Saturn V rocket at the edge of the atmosphere: it propels a spaceship that has swapped a great majority of its weight for the energy of 2748 tons of kerosene and liquid hydrogen. Without time to prepare, with a slight rearward bump of Bavaria, acceleration arrives, and the trees which line our cabin trace lines of great haste. This is your window of acceleration. This is when you invariably arrive behind someone standing still at 140 mph in the passing lane. You have to slow down. Vehicles have envelopes of speed in which they are in harmony with the world. For an East German Trabant, this harmonius range is around 30 mph, for a base Porsche 911, it is 120 mph, for an SR-71 spy plane, it is Mach 3.2. At slower speeds, engines moan and groan, and vehicles drag themselves forward like hydrofoil boats stripped of their hydrofoils. Exceed this envelope of speed and you will plow into your medium of travel. As for what constitutes the harmonious range of speed of the Audi R8 V10, I do not have a clue. On the morning of a business day, the great German Autobahn is good for no more than 140 mph. Then you catch up with the car in front of you, which had, in turn, caught up with another car in front, ad infinitum—or ad Austria, to be precise, because your speed will drop to 90 mph when you cross the border from Germany into Austria. Exceed it, and it will suffer a further drop, diving to 3 mph, because the Austrian Bundespolizei will then confiscate your license and you will proceed on foot. As for why our world is riddled with maximum legal speeds which are good for nothing but a continuous bitter moan from a most wonderful engine of a most wonderful car, it is understandable but very sad. At a speed of 90 mph, the R8 V10 is indistinguishable from a stationary object for the human nervous system. We stood still at this speed on empty roads that stretched for miles in the Austrian Alps, we ground our teeth in frustration, we dug half-moons into our palms with our fingernails. But we, of course, were not standing still. We were sitting still inside a projectile with a kinetic energy of 5.6 megajoules. Were we to collide with anything, we would have caused instant death and destruction. Neither the R8 nor the motorway would bat an eyelid at much higher speeds, but the very same road is used by everyone else. Incompetent, bored drivers, for instance, swarms of them. You can drive any car at 200 mph—and it is said that the R8 V10 is capable of going even faster—if a man yakking away on his telephone wanders into your lane. And if you hit him, you will be labeled the psycho on wheels and not him the man unfit to operate a motor vehicle. This is a horrible fact of life. Ever since the automobile has caused mankind’s average speed—stagnant between the days of the Roman Empire and the Napoleonic Wars—to blossom beyond recognition, we have acquired a taste for crossing continents. But we are many. And many of us would like to cross continents. At speed. Far less of us are willing to train ourselves to become the kind of drivers whose brains can process 200–300 feet of road a second. Those who get into their cars to yak and tweet and telephone and sing and knit scarves and not be present in the act of driving could form a queue to the Moon and back. They drove the flag into the barren dust. They arrived home three days later. The aircraft carrier USS Hornet fished them out of the Pacific Ocean. Richard Nixon, and wives in colored dresses waved into their quarantine, where Armstrong, Collins and Aldrin grinned their unshaven, happy grins. Barely twelve years after a tiny Soviet satellite had the gall to beep-beep into America’s great postwar rumble, the world turned on its heels. The United States of America emerged on top while the Soviet Moon rockets all went up in flames. In a familiar pattern of imperial doom of the vehicular variety, they were followed nineteen years later by the Soviet Union itself. Five more Apollo Lunar Modules would land on the Moon by 1972. Their passengers collected rocks, drove cars, Alan Shepard even played a mean game of golf, although he must have been miffed at the whole course being one giant bunker. Since then, space programs have made even less sense. The cars, on the other hand, our wonderful cars! Eighty years ago, you had to be Bernd Rosemeyer to handle a 500-hp Audi, and even the fearless Rosemeyer lasted no more than three years behind the wheel. These days, after fine-tuning seating position and cabin temperature, one can take a splendid catnap at speed in the residual heat of 500 hp. The brain is quick to mollify the V10’s rumble. But then I woke up. The car was placed into our care at Audi’s corporate headquarters in Ingolstadt, and as the miles ticked off—slowly, ever so slowly—on our way to Budapest, so did the car shed every reason to exist. By the time we reached city limits, we were trembling in discontent under sodium vapor lights. We sure could have used a golf club. If you build a spaceship, placing the engine behind the cockpit makes a lot of sense: your astronauts will not burn to death instantly. A similar layout for cars stuck to the engineering mind like bacon to a non-stick pan. Depending on how you count, humanity has invented it at least three times. It only makes sense to put the engine in the middle of a car if, instead of road cars, you’re building race cars for twisty circuits: the design allows cars to take corners faster. The mid-engine construction made a lot of sense in Formula One, it made a lot of sense at the 24 Hours of Le Mans, but it took a tractormaker scorned for the idea to migrate into a road car, built in spite. The Lamborghini Miura was a middle finger shown Ferrari’s way, a demonstration of progress beyond his front-engined berlinettas. Every modern supercar, the R8 included, has emerged from the Miura’s cloak, so much so that the very word supercar did not exist before the great L.J.K. Setright used it to describe the singularity that was the Miura. But on the public road, nobody needs to shave fractions of seconds off cornering times. What use is this car, Audi’s renaissance vanquiser of Porsches, Ferraris and Lamborghinis? Is it a grand tourer? The engine is a furnace, the trunk scant, the touring an exercise in straitjackets and far from grand, as you bump first into speed limits then sedans standing still at speed. An infernal heat radiates from the engine. Turn the air-conditiong off and it will ooze into the cabin like lava. At least you get a pane of glass to separate the engine bay from the cabin. Is it a track car? Even without you in the driver’s seat, the R8 V10 weighs 3500 pounds. Yes, it is immensely powerful, and it comes with quattro drive and magnetorheological suspension, but its $150,000 price tag will buy you an Ariel Atom, the world’s best track car—complete with its own trailer and with an Audi RS6 to tow it. Incidentally, the latter comes with the very same V10 engine as the R8 V10, topped with a pair of turbochargers for good measure. Is it a city car? Yes, it is just like any other Audi on the inside. The trunk will gladly take a basket of produce. It will take eggplants and bell peppers. The heat will also turn them into a fine bowl of ratatouille by the time you drive them home. The change will also buy you a Lexus LS600hL, driver included. And if this is all the R8 V10 can do, as well-built a mid-engined supercar as they come, what were these things like forty years ago? Does this mean that all of them were utterly pointless, from Countach through F40 to McLaren F1? 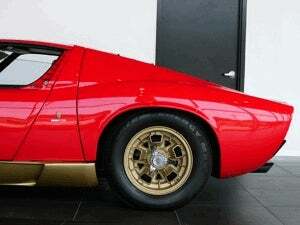 Was even the Lamborghini Miura beyond reason? Supercars are basic research in engineering. Nothing about them justifies their becoming products, the same way one wouldn’t swallow an article in Nature to cure back pain. They have no practical use and there is no place in our world where they are in harmony. And they have a much bigger problem than that. They don’t make us happy. They are hydrofoil boats stuck in treacle. A lot of useful technology has trickled down from Project Apollo into everyday life. It has proven to be excellent basic research. But it didn’t teach us very much about outer space. For that purpose, you’re better off with unmanned spacecraft, which are unburdened with the problem of keeping a bunch of hairless primates alive. One is then free to photograph Titan at will, or to ram a steel cylinder into a comet. The Audi R8 V10 has no answer whatsoever to the question of how to make our world a more traversible place. We have stood still for decades. The only entities to profit from speed are the bureaucracies that man speed cameras. As long as we remain so many and so ignorant, as long as we keep our states to be our nannies, this will never change. But the big R8 does have one use. You can take one and cruise about downtown after dusk, proclaiming with a roar the endless sums of wealth at your disposal. You can also stick your elbow out the window. It is a delectable exercise in self-consciousness, definitely worth a try. And you don’t even have to worry about the engine overheating at low speed. The R8 is built like a rock. The Germans are very good at that. Just ask Wernher von Braun: the three men killed by Project Apollo strayed nowhere near his wonderful space rocket. Original photography by Balázs Fenyő. Additional photography by NASA (Apollo 11 moon landing + portrait of Wernher von Braun), Audi AG (Bernd Rosemeyer with Elly Beinhorn) and Peter Orosz (Lamborghini Miura). Special thanks to Gábor Bazsó, Dániel Farkas, Natalie Polgar and György Szeljak for their generous help for making this article happen. Originally published by Jalopnik on May 5, 2010.